More on the Bello Curved Wood and Black Glass TV Stand (Espresso) BFA6094898DE1 below. 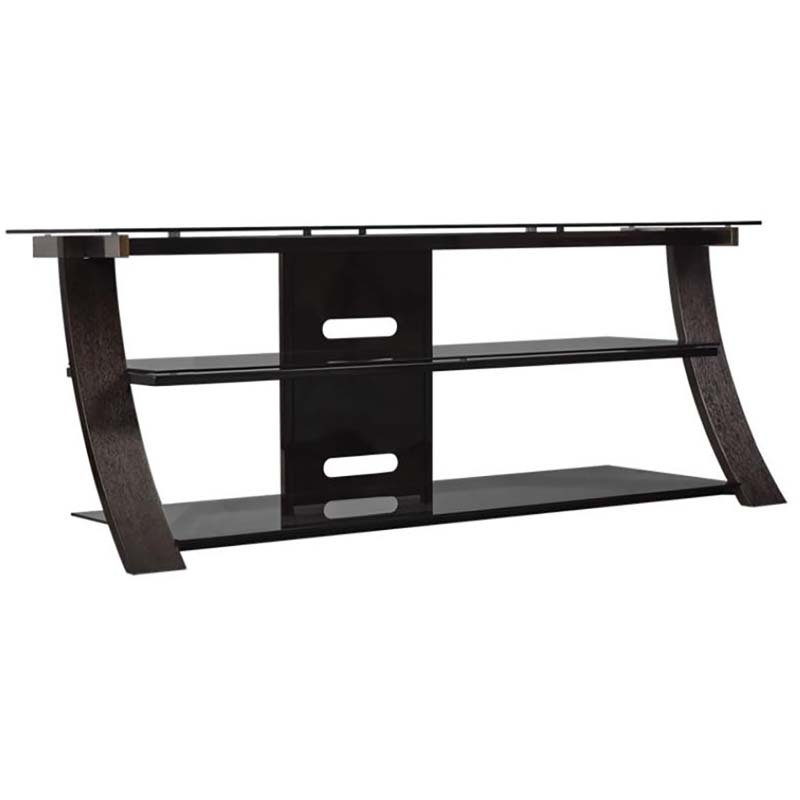 The modern Curved Wood and Black Glass Chelsea TV stand features Dark Espresso bentwood legs supporting three tinted, tempered safety glass shelves. The open design makes this piece perfect for Audio Video components and decorative display items. The CMS Cable Management System integrated into the back hides and manages unsightly wires and cables. This TV stand accommodates most flat screen TVs up to 55 inches and up to 125 lbs. Flat screen televisions up to 55 inches and 125 lbs.